Cuba has a long record of violating the fundamental human rights of freedom of opinion, thought, expression, and the right to dissent; the Universal Declaration of Human Rights clearly protects these rights in Articles 19 and 21. Article 19 states that “everyone has the right to freedom of opinion and expression; this right includes freedom to hold opinions without interference and to seek, receive and impart information and ideas through any media and regardless of frontiers.” Article 21 similarly states that “everyone has the right to take part in the government of his country […]” (UDHR). The purpose of this proposal is to provide the United States with an alternative foreign policy approach toward Cuba that will improve human rights conditions and foster democracy in the country. Namely, I argue that the embargo policy should be abandoned and replaced with a policy based on modeling appropriate behavior, providing support and resources to developing democratic systems and encouraging participation in multilateral institutions. In the following pages, I will describe the historical context of the situation, critique the embargo policy and advocate for the normalization of relations with Cuba as a stronger approach to improving human rights and espousing democracy. It is essential to carefully consider this proposal as a viable policy alternative for promoting democracy and protecting human rights in Cuba because the current embargo policy has proven to be ineffective in advancing these goals. Developing more effective approaches to similar situations of democratization and promotion of ideals has been a foreign policy goal of the United States since before the Cold War. However, despite the vast shifts in the international climate following the end of the Cold War, U.S. policy towards Cuba has not adapted. As such, this proposal highlights the need for a fresh policy toward our neighbor and bitter rival. The United States and Cuba have been on unstable terms since the colonization of both countries by the British and Spanish Empires, respectively. Following Cuba’s independence from Spain and the ensuing Spanish-American War, Cuban-American relations began to deteriorate: Cubans resented American intervention in their independence, afraid of leaving one empire only to be conquered by another. However, the human rights violations in question did not become a problem until after the Cuban Revolution in the 1950s, following the rise of Fidel Castro’s communist regime. After the revolution, Cuban laws imposed limits on the freedoms of expression and association, effectively undermining the basic human rights of freedom of opinion and dissent. According to Clark, De Fana and Sanchez, “given the totalitarian nature of the country, in which all communications media are in the hands of the omnipotent State-Party, it is physically impossible to express any dissenting political opinion […]” (Clark 65). Threatened by these blatantly antidemocratic policies, America had to do something. The United States placed trade embargoes, economic sanctions, and travel bans on Cuba in an attempt to combat the communist regime and human rights violations (Carter 334). Today, diplomatic relations with Cuba remain extremely strained, although America’s embargo policy has tightened and relaxed in concert with its domestic political climate. Most recently, President Obama has reversed “tighter restrictions on Cuban American family travel and remittances,” as well as announcing “that U.S. telecommunications companies may seek licenses to do business in Cuba” (Carter 336). However, despite the ever-evolving policy and the fluid international climate, little progress has been made in improving the human rights situation in Cuba, let alone the overall promotion of democratic ideals. The embargo policy is based on the idea “that economic denial will bring about continued economic failure in Cuba, thereby creating popular dissatisfaction with the government while simultaneously weakening the government’s ability to repress this popular dissent, leading to the destabilization of the regime and, ultimately, its collapse” (Seaman 39). In the following section, I will explain how these objectives have not been realized. Ayubi, Bissell, Korsah and Lerner suggest that “the purpose of sanctions is to bring about behavior seen as in conformity with the goals and standards of a society and to prevent behavior that is inconsistent with these goals and standards” (Ayubi 1). These goals and standards, in the Cuban context, would be democracy and a vested interest in human rights. However, the sanctions that the United States has placed on Cuba in the past half century have done little to address the systematic violations of human rights in Cuba. § 3.1: The American embargo is not sufficient to democratize Cuba and improve human rights. Without the help and support of multilateral institutions, economic sanctions on Cuba have been ineffective. As other states trade and interact freely with Cuba, the lack of partnership with America is only a minor hindrance to Cuba’s economy. Moreover, the sanctions are detrimental to the United States economy, as Cuba could potentially be a geostrategic economic partner. More importantly, since economic sanctions are not directly related to the goal of improved human rights, the effect of these sanctions is also unrelated; continued economic sanctions against Cuba create no incentive for the Cuban government to promote better human rights, especially when the sanctions do not have international support. Empirically, it is clear that since its inception, the policy has not succeeded in promoting democratization or improving human rights. Something more must be done in order to improve the situation. § 3.2: American sanctions during the Cold War strengthened Castro’s ideological position and created opportunities for involvement by the Soviet Union, thereby decreasing the likelihood of democratization and improvement in human rights. Cuba’s revolution could not have come at a worse time for America. The emergence of a communist state in the western hemisphere allowed the Soviet Union to extend its influence, and the United States’ rejection of Cuba only widened the window of opportunity for Soviet involvement. The embargo also became a scapegoat for the Castro administration, which laid blame for poor human rights conditions on the embargo policy itself (Fontaine 18 – 22). Furthermore, as Ratliff and Fontaine suggest, isolating Cuba as an enemy of democracy during the Cold War essentially made the goals of democratization in the country unachievable (Fontaine 30). While the embargo may have been strategic during the Cold War as a bulwark against communism, the long-term effects of the policy have essentially precluded the possibility for democracy in Cuba. Even after the end of the Cold War, communism persists in Cuba and human rights violations are systemic; America’s policy has not achieved its goals and has become a relic of the Cold War era. The prospects for democracy and improvement in human rights seem as bleak as ever. § 3.3: The current policy may drag the United States into a military conflict with Cuba. Military conflict may be inevitable in the future if the embargo’s explicit goal — creating an insurrection in Cuba to overthrow the government — is achieved, and the United States may not be ready to step in. As Ratliff and Fontaine detail, “Americans are not prepared to commit the military resources […]” (Fontaine 57), especially after unpopular wars in Iraq and Afghanistan. Much like America’s current situation with isolated rogue states such as Iran and North Korea, Cuba’s isolation may also lead to war for other reasons, like the American occupation of Guantanamo Bay. These consequences are inherently counterproductive for the democratization of Cuba and the improvement of human rights. Although America’s previous policies of intervention, use of force and economic sanctions have all failed at achieving democratization in Cuba, not all options have been exhausted. One policy alternative for promoting democracy and human rights in Cuba that the United States has not attempted is the exact opposite of the approach it has taken for the past half century. Namely, the United States should lift the embargo on Cuba and reopen diplomatic relations in order to work internationally on improving human rights in Cuba. Unless Cuba, as a rogue state, is isolated internationally, rather than merely by the United States, the human rights situation in Cuba may never improve. A fresh policy of engagement towards Cuba has been delayed long enough. § 4.1: Reopening diplomatic relations with Cuba will decrease the chances of conflict and will promote cooperation between the two countries economically, politically and socially. Diplomatic relations and negotiations have proven to be effective in the past in similar situations, such as the renewed relations between Egypt and Israel following the Camp David Accords. As Huddleston and Pascual state, “a great lesson of democracy is that it cannot be imposed; it must come from within. […] Our policy should therefore encompass the political, economic, and diplomatic tools to enable the Cuban people to engage in and direct the politics of their country” (Huddleston 14). The mobilization of the Cuban people on the issues of democratization, which are inherently linked to the human rights violations in Cuba, is a first step to producing changes in Cuba. American engagement with the Cuban people, currently lacking under the embargo policy, will provide the impetus in Cuban society to produce regime change. Furthermore, integrating U.S.-Cuba relations on a multilateral level will ease the burden on the United States in fostering democracy and a better human rights record in the country, as other states will be more involved in the process. In contrast to a policy of isolation, normalized relations will allow America to engage Cuba in new areas, opening the door for democratization and human rights improvements from within the Cuban state itself. § 4.2: With diplomatic relations in place, the United States may directly promote human rights in the country through negotiations, conferences, arbitration and mediation. Providing the support, resources, and infrastructure to promote democratic systems in Cuba could produce immense improvements to the human rights situation in the nation. Normalizing diplomatic relations with the state will also allow America to truly support freedom of opinion and expression in Cuba, which it cannot currently promote under the isolationist policy. Furthermore, through diplomatic relations and friendly support, Cuba will be more willing to participate in the international system, as well as directly with the United States, as an ally. As the United States, along with the international community as a whole, helps and supports Cuba’s economic growth, Cuban society will eventually push for greater protection of human rights. § 4.3: Lifting economic sanctions will improve economic growth in Cuba, which correlates to democratization. Empirical evidence shows that a strong economy is correlated to democracy. According to the Modernization Theory of democratization, this correlation is a causal link: economic growth directly leads to democratization. Lifting the current economic sanctions on Cuba and working together to improve economic situations in the state will allow their economy to grow, increasing the likelihood of democracy in the state, and thus promoting greater freedom of expression, opinion and dissent. 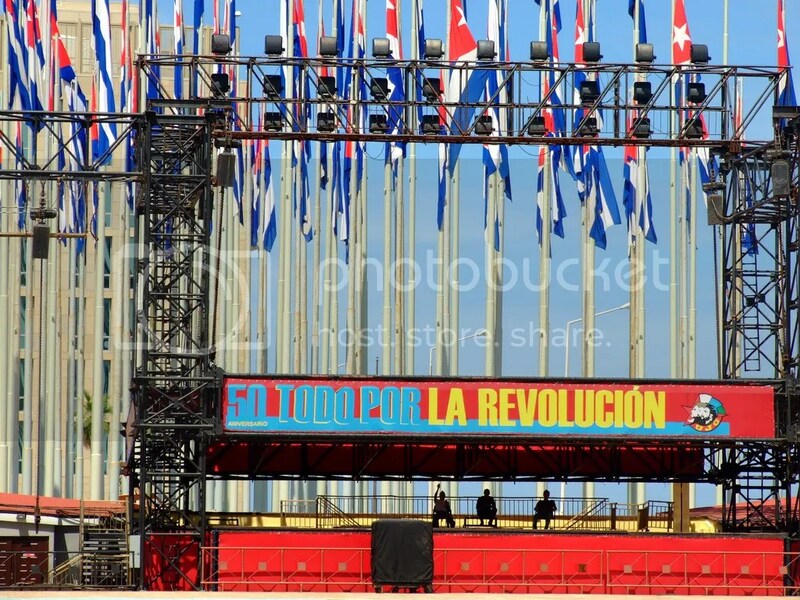 § 4.4: A policy of engagement will be a long-term solution to promoting democracy and improving human rights in Cuba. This proposal, unique in that it is simply one of abandoning an antiquated policy and normalizing relations to be like those with any other country, does not present any large obstacles to implementation, either in the short run or the long run. The main challenge is in continuing to support such a policy and maintaining the normal diplomatic, economic and social relations with a country that has been isolated for such a long period of time. Although effects of such a policy may be difficult to determine in the short term, promoting democracy and improving human rights in Cuba are long-term solutions. As discussed above, engagement with the Cuban government and society, along with support from the international community, will provide the spark and guidance for the Cuban people to support and promote democracy, and thus give greater attention to human rights violations. Instead of continued economic sanctions on Cuba, the United States should reopen diplomatic relations with Cuba, work multilaterally and use soft power to promote democracy and greater attention to human rights. This policy approach will decrease the hostility between the United States and Cuba, and cause Cuba to be more willing to participate internationally with attention to human rights violations. After the end of the Cold War, United States foreign policy has found new directions, and the embargo, as a relic of a different time, must be removed should the United States wish to gain any true ground in promoting human rights in Cuba. Ayubi, Shaheen, Richard E. Bissell, Nana Amu-Brafih Korsah, and Laurie A. Lerner. Economic Sanctions in U.S. Foreign Policy. Philadelphia: Foreign Policy Research Institute, 1982. 1-6. Print. Carter, Ralph G., ed. Contemporary Cases in U.S. Foreign Policy: From Terrorism to Trade. 4th ed. Washington, DC: CQ Press, 2011. 333-53. Print. Clark, Juan, Angel De Fana, and Amaya Sanchez. Human Rights in Cuba: An Experimental Perspective. Miami: The Research Institute for Cuban Studies, University of Miami, 1991. 65-74. Print. Fontaine, Roger, and William Ratliff. A Strategic Flip-Flop in the Caribbean: Lift the Embargo on Cuba. Redwood City: Hoover Institution, Stanford University, 2000. 18-62. Print. Huddleston, Vicki, and Carlos Pascual. Learning to Salsa: New Steps in U.S.-Cuba Relations. Washington, D.C.: Brookings Institution Press, 2010. 14-180. Print. Seaman, David. U.S. Democracy Promotion—The Case of Cuba. Opladen, Germany: Budrich UniPress Ltd., 2010. 9-38. Print. “The Universal Declaration of Human Rights.” United Nations. The United Nations, 10 Dec. 1948. Web. 20 May 2012. .